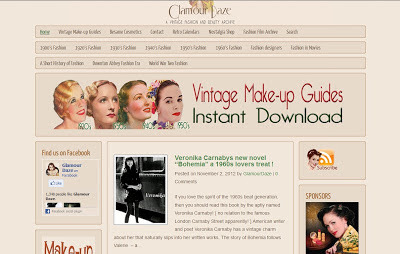 The online vintage fashion and beauty archive, Glamour Daze, has featured thoughts on Veronika Carnaby's Bohemia, in addition to a limited edition flyer that's been making the rounds in several physical and digital locations. As stated on their official website, Bohemia "sounds like Bohemia by Veronika Carnaby is right up the street of Glamourdaze readers." Glamour Daze "celebrates women's fashions and make-up styles from Edwardian to the late 1960's", building a presence and fan base on their official website, Facebook, and YouTube. Click HERE to read Glamour Daze's review in full.